Mercedez Tylock didn’t let a hailstorm ruin her love of her 13-year old home. Instead, the Texas professional interior designer turned her talents to the outside of her home and created a new exterior. 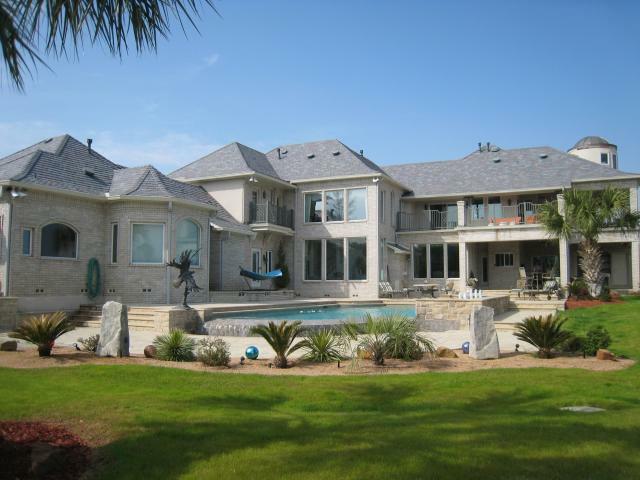 Tylock started “from the top down” by selecting a Multi-Width Slate roof from DaVinci Roofscapes. National color expert Kate Smith of Sensational Color, helped Tylock decide to have DaVinci create a custom blend for her roof of Light and Dark Gray, Light and Dark Purple and Dark Violet tones. “The Tylocks really wanted to make a color statement on their home’s exterior that unified their entire house,” says Smith, president of Sensational Color. “They were working with a great deal of pink/red hues in the exterior brick and also with natural stonework. To unify all these colors, I suggested they go with rich, deep colors for the roof to help the brick stand out on its own. Tylock also spent time visiting area homes with similar polymer roofing tiles to get an up-close look at DaVinci products, and she used the free online Color Designer tool on the DaVinci website.